I'm coming back to Orange County, CA! Ready for the most FUN + stress-free photo session ever? Let's PLAY! As a parent, I'm sure you struggle watching your tween/teen live through some stuff that you wish you could magically make better. I want to do what I can to help ease your pain + help build tween self-esteem. Qualifying participants in the WHO I AM Project will receive a FREE photo session (the $99 Session Fee is waived). But this is sooooo much MORE than just a photo shoot... positive words from family + friends are (secretly) combined with the photos to create a one-of-a-kind experience. Want to keep a piece of this experience? Packages start at $299, and a la carte purchases are available, too. Get ready for the most FUN and stress-free family photo experience EVER! Because my photo sessions are actually FUN... with less posing and more PLAY! We'll come up with a Spotify playlist (because music makes everything better), play a few games with the kids, and I'll give your family lots of things to DO... so that instead of forced smiles and awkward poses, your genuine love and affection SHINES THROUGH. Yes, I'll be posing you a little bit along the way to make sure we get some classic shots you'll love. But I promise that you'll love the results... and even pinkie promise to SHOW you the back of my camera during the session so you can immediately SEE just how awesome your family really is! This session is MINI but MIGHTY... each Mini Session lasts only 20 minutes, but you'll be shown a minimum of 25 images from which to select. A retainer fee of $199 is required to save your spot, which includes a $49 Session Fee and $150 credit towards your purchase. Want an even MORE custom experience, with LOTS of interaction and PLAY? 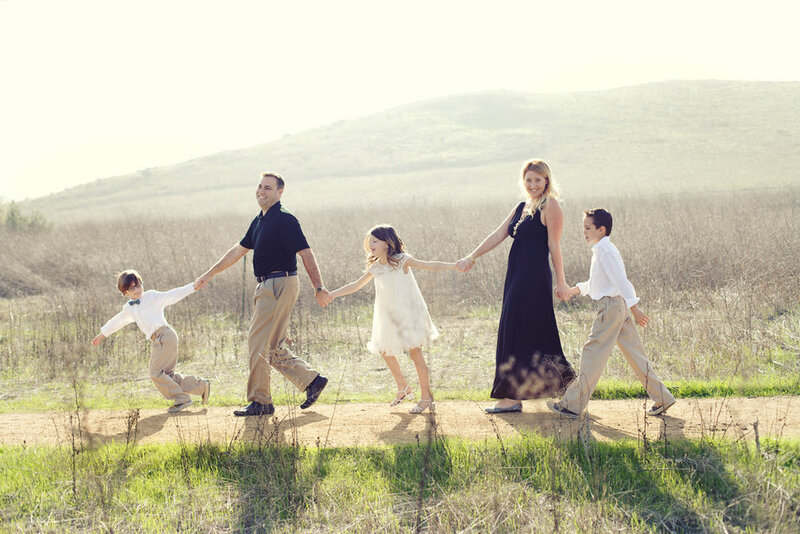 The Signature Session is a great way to update family photos and create a memorable EXPERIENCE along the way, too. It's the "traditional" photo session, with a FUN twist. Just like the Mini Session, we'll be incorporating music and play, and sooooo much more! This is a truly CUSTOM experience, from start to finish. And it doesn't end when the shoot is over, but continues all the way through, till you've got finished products in your hands or on your walls. The Signature Session lasts 1-2 hours at the location(s) of your choice. And while some parents worry that their young kiddos might not last that long, I've actually found the OPPOSITE to be true... the kids do BETTER with this full-length session instead of a MINI. Because instead of being pressured to perform within a certain timeframe (which can lead to meltdowns), this session offers ample time for them to warm up to the camera, explore their surroundings, take snack breaks as needed, and we got lots + LOTS of awesome photos throughout. Which means that YOU can actually relax + enjoy, too! After the session is over, you won't have to deal with the confusion and overwhelm that can happen with an online shopping cart. Instead, we'll schedule a virtual "In-Person Viewing + Sales Session," so that you can see all your images for the first time, and be guided step-by-step along the way to turn your favorites into artwork you'll treasure for the rest of your lives. I can even show you what YOUR OWN photos will look like on YOUR OWN walls, so that you can "try before you buy," and know EXACTLY what you're getting. The Signature Session is my most POPULAR session type. It includes detailed planning, lasts 1-2 hours at the location(s) of your choice, and you'll be shown a minimum of 50 images from which to select. A retainer fee of $299 is required to save your spot, which includes a $99 Session Fee and $200 credit towards your purchase. If I were to ask you to tell me a bit about yourself, would you even know what to say? But if I asked your husband to tell me about the first time he ever laid eyes on you, or asked your kids to tell me about their favorite family vacation ever... the stories would start tumbling out. Probably some of the sweetest things you've never even heard... yet. 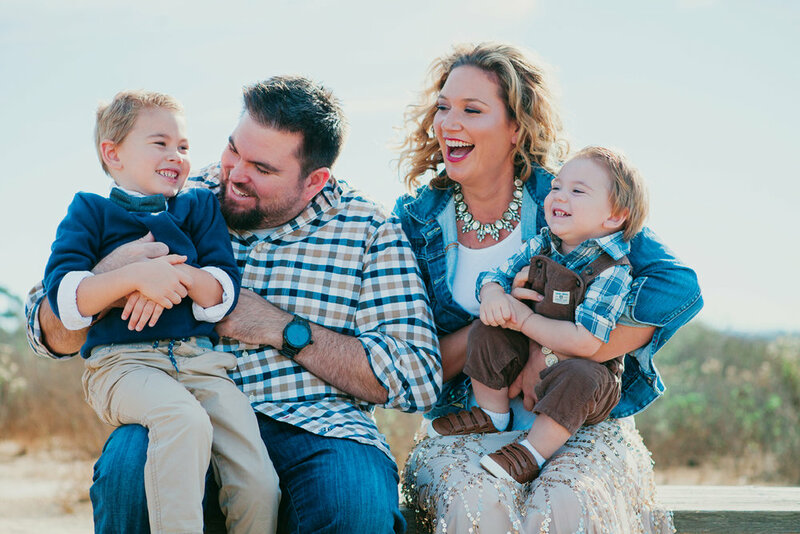 Utilizing my artistic skill set + background in psychology, I've created a brand new way to not only capture the most authentic photos of your family, but also to help you all come together + connect in a way you'll never forget. Think of the Storyteller Session as a FAMILY TIME CAPSULE... we'll capture a day in your life, a special family adventure together, or whatever else you'd like to remember about this particular stage in your lives. And as an all-inclusive package, you'll receive high-resolution digital images, as well as a custom lifestyle magazine filled with all your favorite new images AND the stories told in your very own words. Also includes a discount towards further product purchases. Half-Day and Full-Day experiences are available. Hey there! I'm Michelle... the one behind the camera. Sooo... why book an experience with ME? Because I'm more than just a photographer. With my degree in psychology and years spent working in children's group homes + art camps, I've learned to instantly connect with a range of personalities and work with all sorts of moods. I work hard so that you don't have to... creating the most stress-free and FUN experience from start to finish, including session planning, how to get the entire family excited, and even tips on what to DO with your photos AFTER you have them. Long story short: The camera has been an extension of my hand for most of my life, and I've been running The Suitcase Studio for nearly 10 years now... providing FUN + stress-free photo experiences for the adventurous, authentic and AWESOME. And I still use my psychology training and insight on each + every photo shoot as I calm the nerves of parents, maneuver kids out of meltdown mode, and help everyone connect in the most genuine of ways. I see you the way your loved ones see you; quirks and all. And we celebrate that uniqueness, together. HOW? By creating a FUN photo experience for all involved (cross my heart). Yes, we'll be taking pictures. But by the end of it, I swear you'll forget I have the camera in my hand. So let's PLAY! Use the form below to get in touch, or give me a call at 541-633-7598.